The Buoy Beach Canopy Tent makes sun protection easy! With easy to set up, height adjustable, poles you'll be chillin' in the shade in no time. Fill the easy fill adjustable weighted bags with sand to keep your shelter on the ground in the strongest of winds. 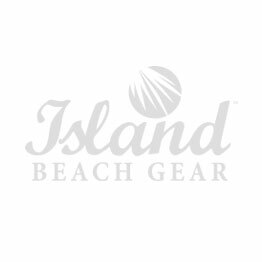 This beach shelter has a UPF 50+ rating so it is great for the beach, ball field or tailgating.